Excell for Training are a sub-contractor training provider based in Chesterfield, Derbyshire that was formed by Steven Boyd (Managing Director) in December 2010. 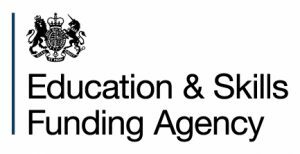 Excell for Training receives ESFA funding via a prime contractor, The Derbyshire Network. This funds the delivery of Intermediate and Advanced Apprenticeships in Health and Social Care, Children and Young People’s Workforce, Animal Care, Business & Administration, Customer Services and Management across a wide range of geographical areas such as Nottinghamshire; Leicestershire; Scunthorpe; Derbyshire; South Yorkshire; including Sheffield and Doncaster. We deliver Alternative Education in partnership with Chesterfield Community Care Farm where we have contracts to deliver with; Derbyshire County Council, Nottinghamshire County Council and Nottingham City Council. We provide the accredited training and education to young people ranging from 8 – 16 year old’s; that have a range of individual needs. Such as; emotional and behavioural difficulties, special educational needs, mental health issues and looked after children. Often these young people are NEET, or at risk of becoming NEET. (Not in education, employment or training). The education and training we deliver to our students on Alternative Provision is primarily; Foundation programmes such as; Land Based Studies, Animal Care, Horticulture and Construction. These start at Level 1 Award, then the students progress to the Level 1 Certificate and if appropriate; the Level 1 Diploma. We also deliver Functional Skills in Maths, English and ICT from entry level up to Level 2. The Derbyshire Network, Derbyshire County Council, Nottinghamshire County Council and Nottingham City Council.